Bollywood celebrities enjoyed the festival of colours with their family and friends. Bollywood’s latest heartthrob Varun Dhawan too did the same. The handsome hunk, who was in London for quite some time for the shoot of Remo D’Souza’s ‘Street Dancer 3D’, came back a few days ago. 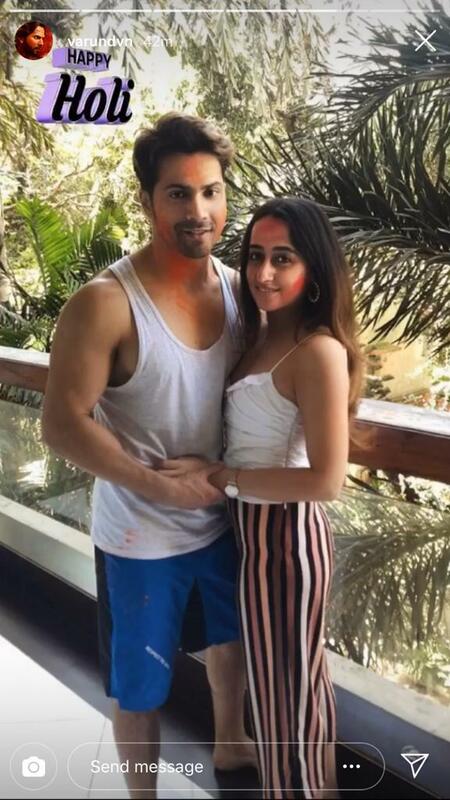 He celebrated Holi with his Ladylove Natasha Dalal and his parents. The ‘Sui Dhaaga’ star took to his social media handle and shared some love-soaked pictures. In the picture, we can see Varun Dhawan dressed in a white ganji with blue shorts and a pair of flip flops. He is holding Natasha who is looking pretty in a white top and colourful pants. They have gulal smeared on their faces. 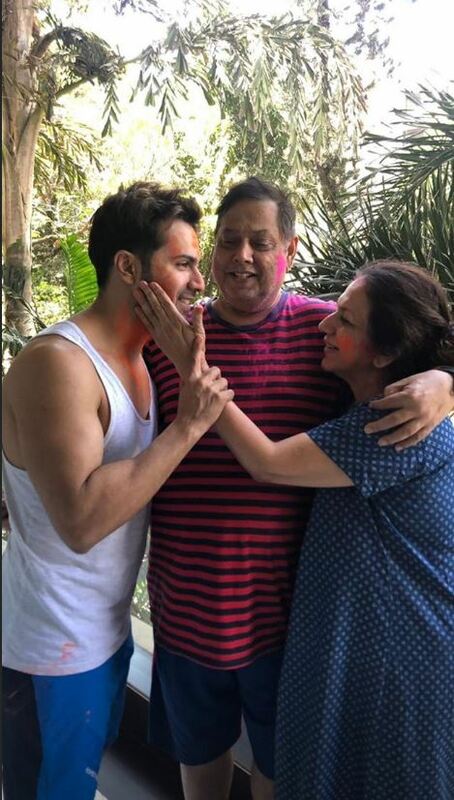 The dutiful son even shared a picture of his parents playing Holi with him. While his mother is putting colour on his cheeks, his father is giving both of them a hug. 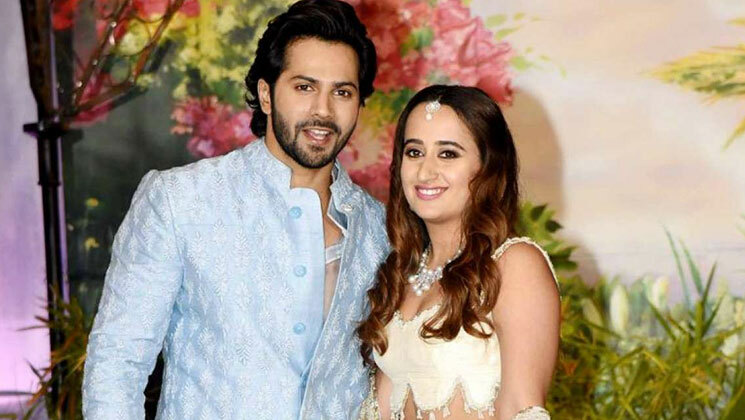 Varun Dhawan has been in a relationship with Natasha Dalal since long now. It was only on ‘Koffee With Karan 6’ that he accepted that the two are dating. He said that he is with Natasha Dalal because she has her own individuality, and he wants to be supportive of her dreams. Rumours abound that the two will be tying the knot this year. On the work front, Varun Dhawan will soon be seen in Karan Johar‘s period drama ‘Kalank’. The movie also features Alia Bhatt, Sonakshi Sinha, Aditya Roy Kapur, Madhuri Dixit and Sanjay Dutt. He also has ‘Street Dancer 3D’ co-starring Shraddha Kapoor and Nora Fatehi.